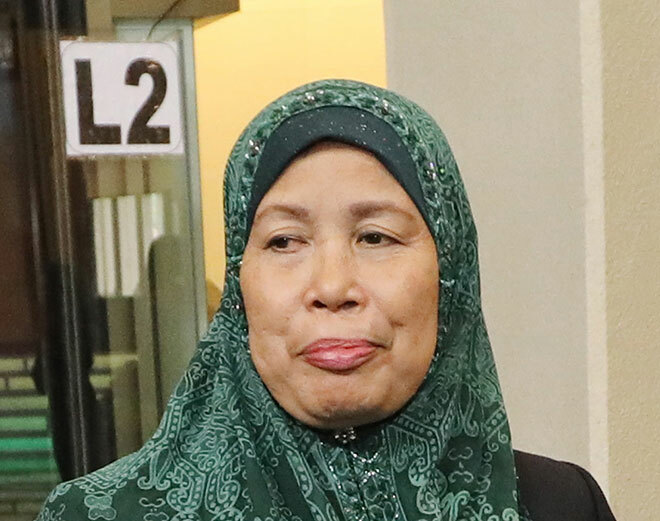 KUCHING: Tanjung Datu assemblywoman Datuk Amar Jamilah Anu has expressed her concern that there has not been any apparent development in either the planning and execution of the proposed master plan for the development of Lundu and Samatan. She noted that the Master Plan for the Development of Lundu and Sematan was commissioned by the Sarawak Government through the State Planning Unit in 2014 and subsequently the report was published in 2015. The objectives of the development plan, she pointed out, is to increase economic activities, raising the standard of living for local communities and achieving sustainable development. She stressed that one of the four recommended strategic thrusts was to use tourism to lead local economic development in Lundu and Sematan. “I totally agree and accept without hesitation that tourism development is the way forward for Lundu and Sematan. “And I have been saying this since I first spoke in this August House two years ago. “My concern is that despite the study and the report, there has not been any apparent development in either the planning nor the execution of the recommendation put forth by the report duly commissioned by SPU,” she when debating the State Budget 2019. Jamilah acknowledged that some of the projects announced and approved by the Government would contribute to tourism development in Lundu and Sematan, but what needed to be seen was the adoption of the recommendations either partially or in full into a well-structured Master Plan that could be utilised by every department, agency or the private sector in providing either infrastructure or services. “I would very much like to see that tourism development in Lundu and Sematan is a well-planned industry as opposed to a haphazardly concocted tourist area. “I want Lundu and Sematan to become a premier eco-tourism destination in the region and maybe (if) not too far-fetched, in the world,” she said. Jamilah believed that with the completion of the highway from Sematan to Telok Melano, it would be a worth-while effort to undertake to chart and build the necessary landmarks to signify the westernmost tip of Borneo. She said this would be similar to the landmark in Cape Agulhas that indicates where the southernmost tip of Africa sits and where the Atlantic and Indian Ocean divide. She noted that closer to home there is Tanjung Simpang Mengayau in Kudat, Sabah which is the northernmost tip of Borneo. “We can, in addition, to the lighthouse in Tanjong Datu, build a special landmark that signifies Where Borneo Begins. “I believe there is already a special postcode 94111 assigned to the lighthouse. “This would definitely bring in the tourists both from near and afar as Tanjung Datu itself is rich in history especially in the early days of maritime exploration by the Chinese, Dutch, Portuguese Spanish and the English,” she explained.